Dolphin Data Lab has Dolphin users in over 135 countries of the world and they are from different industries including data recovery companies, IT companies, enterprises, education agencies, law enforcement agencies and government agencies. Dolphin team have trained many data recovery engineers too and some of these engineers set up their own data recovery labs, some of these data recovery engineers get good jobs in some big data recovery centers and now Dolphin team have decided to act as one professional but free bridge to connect those who are looking for qualified data recovery engineers and those who are looking for data recovery jobs. 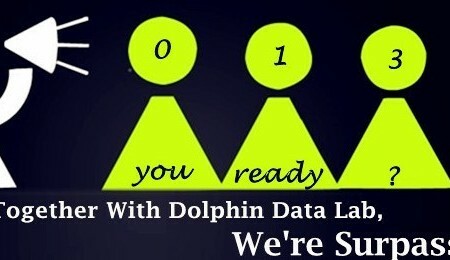 No matter where you are from, no matter what kind of data recovery engineers you are looking for, you can email to Dolphin team by sales@dolphindatalab.com and tell us your detailed request and Dolphin team will connect you to the right person to achieving your goals. For those who are looking for data recovery engineers, you can send your IT engineers or computer technicians to Dolphin Data Lab to attend advanced data recovery training courses to become qualified data recovery engineer. If you need engineers urgently, you can tell us your requirement, Dolphin team will send emails to inform data recovery engineers worldwide and those who are interested will contact you in a short time. For those who are looking for data recovery jobs, you can send us your resumes and whenever we get the engineer requirement, we will forward your resumes to them and you will be contacted in a short time to get your jobs. You will have a wide selection of jobs to work in different places of the world. Dolphin team have been connecting to the best resources of data recovery and are trying the best to help all those in data recovery field.